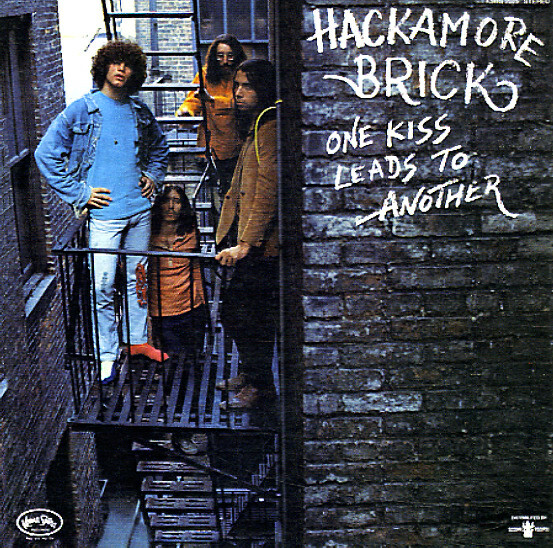 The legendary debut of Hackamore Brick – a really unique little group who only gave the world this one little record, then disappeared for decades! Although issued on the mostly-pop Kama Sutra imprint, the album's got this earnest, honest quality that's really refreshing for the time – neither too-jamming rock or psych, but also not really singer-songwriter material either – and instead that kind of personal blend of acoustic elements and electric passion that's been rediscovered recently in the farther reaches of the "private" underground of the 70s. Yet here, the group are emerging already full-formed – with songwriting that's sublime, vocals that are transcendent, and mix of modes that was certainly a head-scratcher to the mainstream market of the time – but which has gone onto make the album a real treasure that's gotten some much-needed rediscovery in recent years. Titles include "Got A Gal Named Wilma", "Reachin", "Radio", "Peace Has Come", "Zip Gun Woman", "Someone You Know", and "Oh Those Sweet Bananas". Features the bonus track "Searchin". © 1996-2019, Dusty Groove, Inc.